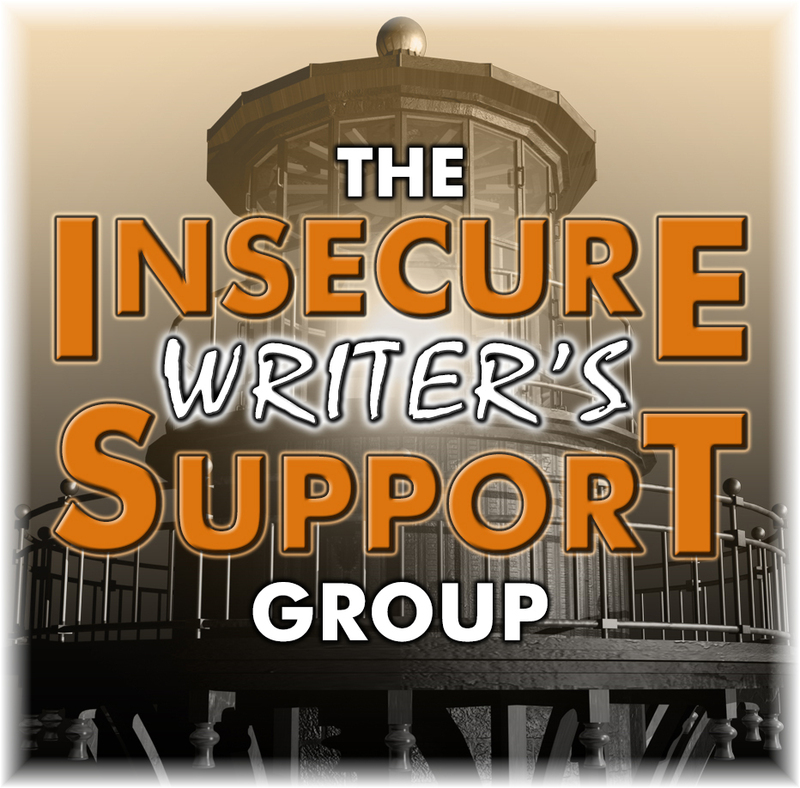 It's already that time when the amazing group, Insecure Writer's Support Group, do our once per month blog hop where we share our victories, woes, and give hope and support to each other. Thanks to Alex J. Cavanaugh for starting the group and all the hard-working administrators who keep it running. If you'd like to join our posse, check out the entire list here. I'm skipping the optional question this month and I don't have any really big insecurities hampering me at the moment. This is mostly a report today. I did get the cover art for my upcoming release, Exile's Savage Lady, Book #3 in The Survivors of the Apocalypse series. My publisher didn't get me the exact release date yet. Hoping it will do as well as the second book, Horse Tamer's Fiery Lady. In personal news, I'm scheduled to speak at a panel at my local library next Sunday. I'm looking forward to it. I'm not someone who has any problem speaking in front of people, probably thanks to over thirty years teaching high school students. Audiences don't get tougher than that age group. I also know two of the other authors who will be on the panel so looking forward to spending time with them. Here's an article on how to snag some public appearances to build your audience. On Saturday, we're sitting down together and doing our taxes. Since my husband and I are both self-employed, we always have to pay in some. Sometimes a lot when my husband has a good year. I'll let you know on Monday if I need you all to buy at least one hundred of my books apiece to pay the tax-man. Wish me luck. Easter was pretty great with all the children home and having fun together. My granddaughter was the center of attention, of course, and loved every minute of it. Not to brag about the little genius who is only a month past one year old, but I have to spell words around her now. Mostly words like OUT because she wants to go there and the weather has been miserable. Also have to spell LIBRARY because she goes to the door as soon as she hears it and then is upset if we don't get in the car. Has spring arrived in your area? Did you file your taxes yet? Are you feeling insecure today? Good luck with the book Susan, it's good to spend Easter with family, that's something I miss. A great post to read. The panel will be fun. I have no problem speaking to any size group. My first time was to 5000+ people, so I figured if I could handle that, I could handle any group. Receiving cover art is always a thrill! I love reading about your Easter and granddaughter. Like you, the weather has been lousy. We adopted a shelter dog back in February, and every time we open the door, he thinks he's going for a walk. Thankfully, he's deaf. No having to spell words like WALK. Well done on your writing progress. Fantastic cover! The weather keeps going back and forth here as well. We had snow on Monday morning and then thunderstorms yesterday. Great work with your writing! :) And yup, my husband is on top of things with taxes. Watch out - that little one will be spelling before you know it. Lovely cover, good luck with the book! Happy tax day, Susan. And I loved that Roth quote. I really needed it today. Thanks. Release time is always so fun. I just love your cover and the title makes me curious. Let us know about the release date and if we're able to pre-order. I would love to read it. Have fun at the panel. Awesome that you have your cover and aren't nervous about public speaking. Wish I could say the same. And I can totally relate about taxes as I'm self-employed. For the little extra I made last year, not sure it was worth the repayment of my health care subsidy and taxes. How wonderful to have a granddaughter who loves the library so early in life! haha soon she'll learned what spelling those words means and be onto you. Did my taxes and everyone elses, fun times. 1000 words a day is grand indeed. Good luck with the taxes, i am glad you had fun at Easter, and may your book release be a great one! Have fun at the panel. I never was on any panels, but I taught a writing workshop at our local library. It's thrilling when the people come specifically to hear you talk. Very gratifying. Love your granddaughter. She knows what is important in life, and library is one of those things. The panel sounds good. Well down with all your writing goals! Nice cover! Very nice. And well done on your word count! That’s awesome. Yay on the cover. Best wishes too for Sunday's panel. Your grandchild sounds very clever indeed. Congratulations on the cover and ...taxes - I have also had the most devastating week that passed - thanks to taxes. There's no better way to have the muse hiding under the bed, whimpering and refusing to come out. debouchage canalisation colombesa eu le plaisir de visiter le blog! Congratulations on the cover! Ugh, we still need to do our taxes. We never wait this long. Just slipped up on us this time. Sounds like you're on track with your writing. That's wonderful! I don't have a word per day goal; probably should. As long as I can do a little each day, I feel I'm moving forward. Have a wonderful week! You sound busy. The panel sounds exciting. Wishing you the best. Good luck with the panel discussion and keep going with that steady word count. Sounds like you're making excellent progress. You'll do great at the panel. Hope the taxes aren't too rough. Spring is trying to fight its way through the snow over here, too. Spring has not yet arrived here in Michigan, but it's getting closer. I've spoken a couple of times at libraries, talking about story structure. Good luck with your speaking engagement. The run down of weather here: fall = cool rain with soppy leaves in puddles, winter = cold rain with some bright cold days, spring = cloud cover with cool rain and occasional sun, summer = some bright blue days and 80 degrees warmth with some rain. But, I have lived in this state my whole life so obviously, I'm okay with rain. I hope spring gets warm for you soon! And happy news on your progress and the library panel! Congrats! BTW - I love that your granddaughter wants to go to the library! That's awesome! I am lucky in that my husband files our taxes. I just have to figure out my income from book sales, which is such a small number, I really wonder why he bothers asking. 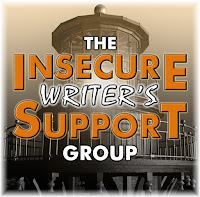 That would be reason enough for insecurity, but I'm in the middle of the query process as well and each time I get a "not for me" it makes it that much harder to get into writing the next novel. The evil little voice keeps saying "Why bother if this is what's going to happen when the book is finished?" As for the weather, it is snowing here, but that's fine with me. I can never get enough snow. 1,000 words a day for six straight weeks? That is awesome. Way to go! And enjoy the panel! I have not filed yet. I'm also self-employed and the taxes really hurt. A lot. Plus spring hasn't arrived except for a day or two, though I do some greenery coming up so that's encouraging. I hope the panel goes well as well as filing your taxes. I hate that part each year, even though it's not too bad (yet). It sounds like you're doing great getting some writing in. —Philip Roth ... could have very well been written about filing yearly tax returns. debouchage wc meudona eu le plaisir de visiter le blog! GOOD FOR YOU and congrats on your new release and achieving both your goals of writing and exercise! GO YOU!!!!!! I know the winter must be a huge challenge and a total nightmare, but it's brutally hot down here in Florida. WE had a ridiculous hot February, but March was STUNNING> April blew in HOT HUMID and STICKY... so not too fun. Actually looking forward to heading north in a few weeks to cool off. debouchage evier draveila eu le plaisir de visiter le blog! Congratulations on not having any writing related insecurities. That is a feat indeed. I love that your granddaughter gets upset when she doesn't get to go to the library. Now that's a child who's being raised right. Congratulations on sticking to your writing and exercise goals. I hope the panel went well.